WEEGO have produced a jump start battery that fits in your pocket !.. Weego, an innovator in portable battery solutions, announced the launch of its Weego Jump Starter Battery+ for the marine market. A compact and portable jump starter, the Jump Starter Battery+ eliminates the worry and fear of a dead battery, for as little as $99.00. Weego is pocket sized and capable of starting boats, cars, trucks, motorcycles, ATVs and more, as well as charging phones, tablets, speakers and other USB devices. Incredibly easy to use, each Weego model includes jumper cables that can be attached to the terminals of a dead battery. Easy to follow instructions are printed on the back for quick reference. To start, boaters simply connect the clamps to the battery terminals, connect the cable to the Jump Starter Battery+, turn the power on and start the engine. A built-in LED flashlight assists in low-light situations and a strobe with SOS function draws on-the-water or roadside attention if needed. A 3-in-1 USB charging cord, 8 popular-brand laptop connectors, wall and car chargers, and a carrying case are included. Weego Jump Starters are offered in three sizes. JS18 Professional can start petrol engines greater than 6.4L and up to 4.8L diesels. Constructed with durable, high-quality components, Weego features built-in circuitry protection, an auto-off feature, and jumper cables with both a fuse and diode to ensure user safety, as well as protection for the unit. Weego jump starters offer up to 1,000 charging cycles (a full charge plus full discharge), have an operating temperature from -4 to 140-degrees Fahrenheit (-20 to 60-degrees Celsius), are independent lab tested, and are backed by an 18-month warranty. Russ June 5th, 2015| No comments - be the first!|Tags: Batteries - Li-ion - power. 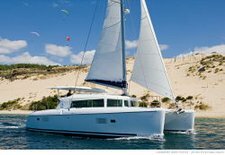 But getting the charging system, and choice of battery and alternator is vital for a modern cruising yacht with so much reliance being placed on sophisticated electronics. Apart from the numerous postings here on this blog I think you would find the following site at Smart Gauge very informative and well worth clicking on their reference section. The 50% rule for deep cycle batteries. Split Charge Diodes and their many problems. How should battery Isolator Switches be connected? How to correctly size relays for split charging. High current surge as a result of relay based split charging?.. Russ October 24th, 2007| No comments - be the first!|Tags: Batteries - Electronics. I don’t know if you have come across this battery or the claims being made by Lifeline, the manufacturers. What caught my attention apart from the price (less than GEL) and the charging claims – which by the way makes them more suited to solar panel charging systems…was the safety aspect – “No Venting”. When batteries are mounted for bow thrusters or an anchor windlass they are often sited under the bed or at least somewhere within the fore cabin. So any improvement in safety here would be of interest. A conventional electrical system would consist of two battery banks (one for engine starting, the other for house loads), a blocking diode split charger and alternator controller. The diode would split charge between the two battery banks while the alternator controller would develop high charging voltage to ensure rapid battery charging. 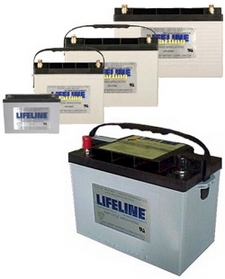 With this Lifeline system you could have the two battery banks and then a VSR (Voltage Sensitive Relay) that’s all. The system would work in exactly the same way and would also charge as quickly. While the initial battery cost is higher than conventional batteries, the expensive split charger and alternator controller isn’t needed. What’s more, the system would be easier, and less expensive overall, to install. Download the Merlin Split Charging Guide here for more info. Russ October 6th, 2007| No comments - be the first!|Tags: Batteries - Electronics - Solar.